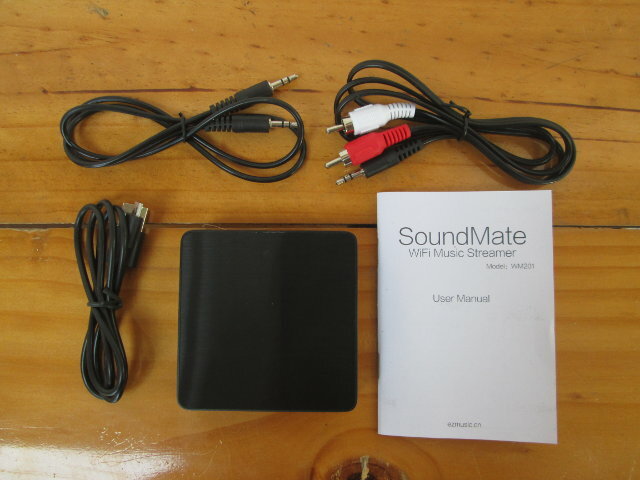 All good things must come to an end, and this is the last day of Giveaway Week on CNX Software with Uyesee SoundMate WM201 wireless audio streamer that adds Wi-Fi connectivity to your speakers or old AV receiver, so that you can stream audio via EZMusic or a DLNA app in Android, iOS or, desktop computers. If you’ve ever used an EZCast dongle, the app looks just the same except it’s limited to audio streaming. I’ve tried it with an optical audio cable connected to the S/PDIF input of the device and Onkyo TX-NR636 AV receiver. It worked pretty well, as long as your device is in the same room, but if you move to another room, the connection become unreliable, and audio may cut from time to time. You can read SoundMate WM201 review for details. Only one entry per contest. I will filter out entries with the same IP and/or email address. Contests are open for 48 hours starting at 10am (Bangkok time) every day. Comments will be closed after 48 hours. I’ll contact the winner by email, and I’ll expect an answer within 24 hours, or I’ll pick another winner. $10 Registered Airmail Small packet for the rest of the world payable via Paypal within 48 hours once the contest is complete. If Paypal is not available in your country, you can still play, and I’ll cover the cost of sending the parcel by Sea and Land (SAL) if you win. I’ll make sure we have 7 different winners, so if you have already won a device during this week giveaway, I’ll draw another person. Winners are announced in comments under each giveaway, and I’ll also write a separate post for all winners. SoundMate WM201 can be purchased for $37.99 on Aliexpress including shipping, and it’s also available on Amazon US for $39.99. At one point, it could be bought for $7.49 on Newegg, and some people got it for that price, but the seller must have realized he was losing money on each sale, and the product is now “out of stock”. I could see a use for this, even if the wifi reciever does seem a bit weak. Again and again and again!!! Would love to convert my “dumb”audio system to an internet radio receiver.